Remove glovebox (by sliding peg to the right in glovebox,left hand side) and at the bulkhead where you will see the previously passed through wire.Pull this wire through and route this wire to the right towards the centre consul,remove the centre consul side trim by carefully pulling it at the rear of the trim (theres 3 retaing clips there) then moving it towards rear of car ,theres a plastic locating peg that goes into a bracket so remember to make sure this is in line when refitting. You can refit glovebox & consul side trim now as there is no further need for these to be removed.Its a good idea to use a couple of cable ties to make sure the wire doesn't flap about or catch on anything. Remove the gear lever surround by lifting up (gear leather trim is velcro fit) & unplug the cigarette lighter connector by pressing tag in & pulling downwards. Pull the cigarette lighter wires through the gear lever opening as far as possible. Drill & posistion switch,I mount mine just to the left of the handbrake on the slope section as when the switch is operated the 'switch on' LED is clearly visable from the drivers posistion and its not obtrusive and looks factory fit. Note,picture below for switch position is for left hand drive,red dot marks switch position. Wire up the switches 3 terminals as follows,check termination on switch as may vary.but basically you have 'supply in','supply out' & 'earth' which is used to bring on the LED when the switch is in the on position. 1)Sidelight supply to switch...solder 6inch section of 14 gauge wire from cigarette lighter sidelight supply.This is ok to use as you are only using it to switch the relay contacts not directly power the foglights. 2)Earth...solder 6 inch section 14 gauge wire from cigarette earth. You can of course use 'scotch lok' type connectors for the above if you find it easier. 3)Switch output the wire you have brought through the bulkhead from relay terminal 86 to the remaining terminal using spade connector. Refit all removed trim/panels & turn on sidelights (ignition on) & flick the front fog switch & hey presto front fog lights. im buying the parts for this mod now so whats the voltage of the relay and switch? I use genuine fiat lights/fittings and aftermarket switch(12v) and standard relay. what amp is a standard relay? 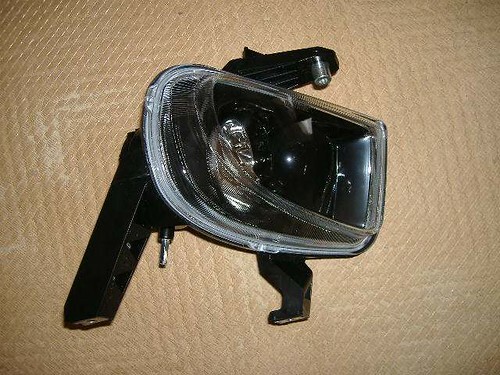 I need to replace my front fog light (smashed it on a kerb ). Your guide is very useful T14086 - but I'm not 100% sure if it's just as simple as unscrewing the old and plugging in the new. Can you clarify please? One more question (and I know I could go and have a look but it's dark!) - do I need a special screwdriver? If so, what sort is it please? Last edited by T14086; 07-02-2008 at 20:49. Last edited by new2fiat; 07-02-2008 at 20:53. Can you please clarify. 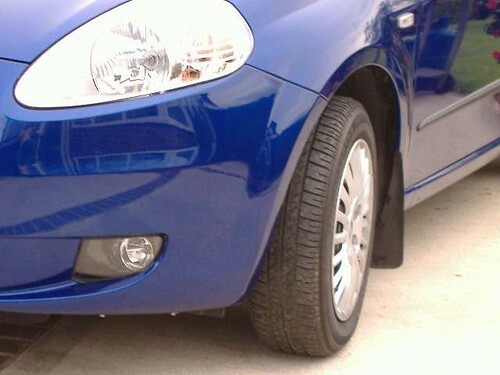 If your car is not already fitted with front Fog Lights. are there mounts on the bumper when you remove the little black covers? Just when I went to Fiat and asked them about it they said, no. Then tried to say your would need a new bumper, Yeah right! RIGHT ? Start off by removing the blanking plates where the lights fit into,these need a firm push 'in the way' as they are retained by strong retaining clips. The mounts are on the fog lamp brackets there is no separate inserts or mounting plates needed..
there is a Hole above the foglamp hole and 2 on the bottom of the bumper with a 3rd hole to adjust the beam angle with an 8mm nut runner. Last edited by Andy Monty; 04-03-2008 at 22:11.